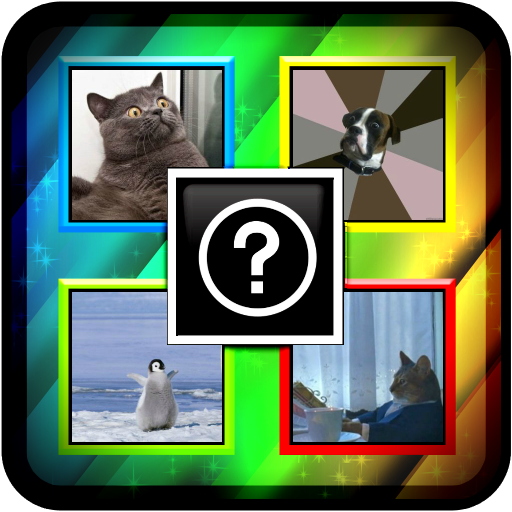 I just published my new game, it's called Riddle Meme. 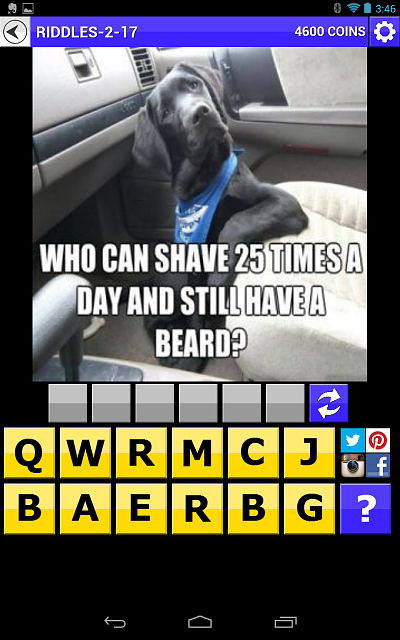 It's a fun riddle game with hilarious pictures. For years, we've been laughing at these cute, weird and hilarious internet meme characters. Now they've teamed up for revenge and want to make a fool out of you by stumping you with tricky puzzles and riddles. 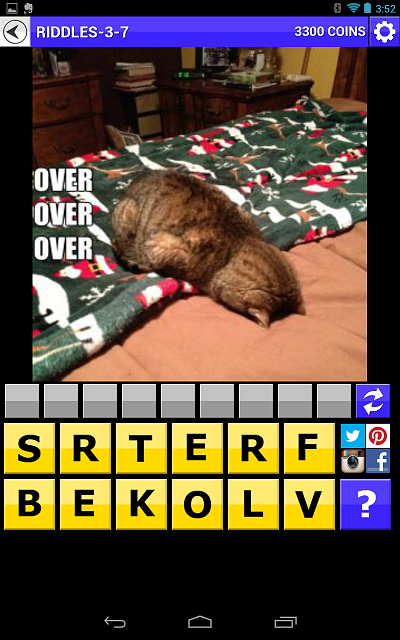 Solve their riddles using the letters provided to guess the answer. 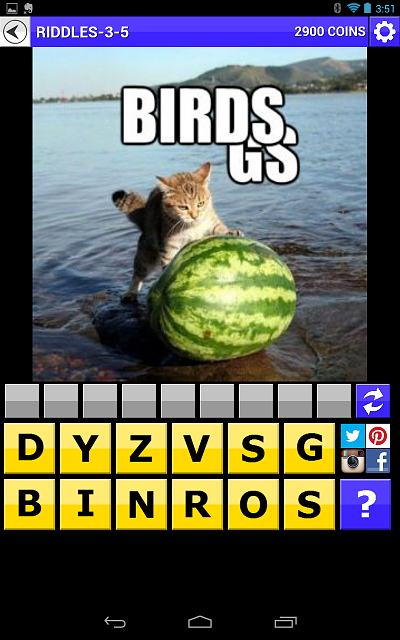 Ask your friends for help by sending the image to Instagram/Facebook/Email directly within the game (using Android share feature). 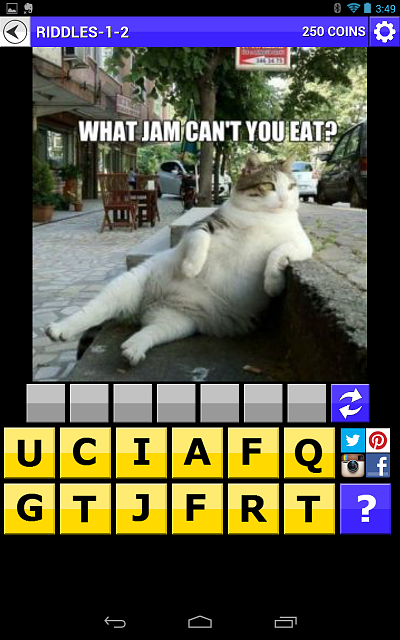 There are over 120 riddles and rebus puzzles for you to solve. 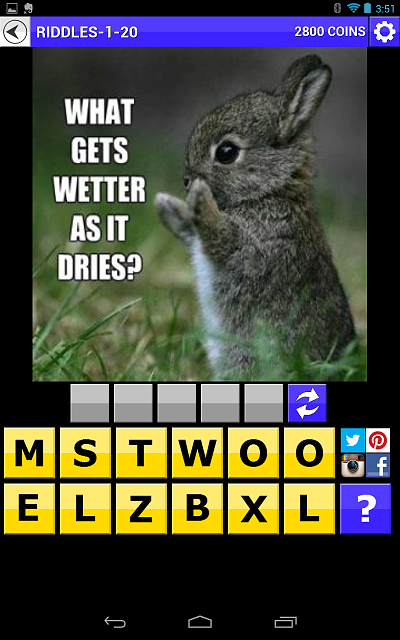 Riddle Meme is a family friendly game.